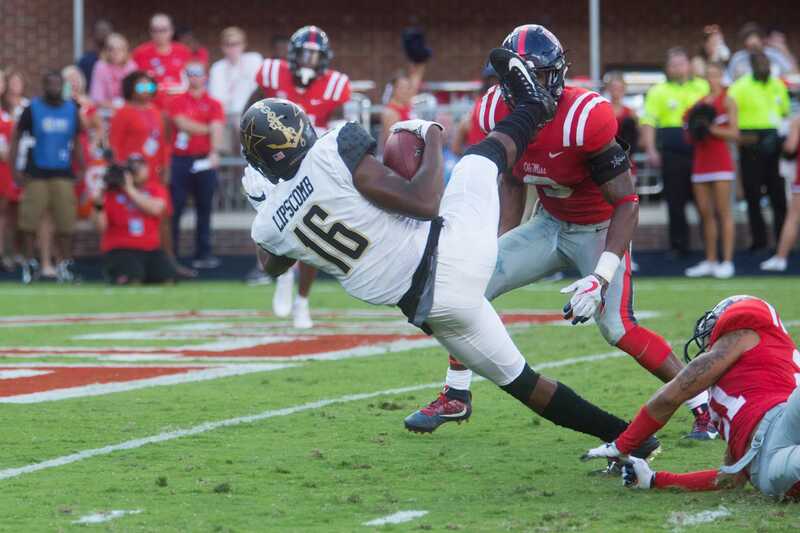 After letting yet another game slip away from them, the Vanderbilt Commodores need to win both of their final two games to become bowl eligible. First up is Ole Miss who is coming off a 38-24 loss at Texas A&M. Here are three match-ups to look out for on Saturday. Williams has unquestionably been Vanderbilt’s best cover cornerback all year and he will need to continue that against A.J. Brown and the other talented Rebel receivers. Williams has three picks on the season and five pass breakups. He also has made 49 tackles and opposing quarterbacks tend to try to throw away from him as much as possible. On a team full of many skilled receivers, Brown has separated himself from the rest. He leads Ole Miss by a large margin in both yards and receptions with 1,047 and 72, respectively. He has clearly emerged as Jordan Ta’amu’s favorite target and shutting him down will be key for the Commodores to win this game. Pinkney, along with Kalija Lipscomb, has become the guy to consistently make clutch catches resulting in big plays. He has 35 receptions on the season for six scores and an average of 16.4 yards per catch. His 6’4”, 225-pound figure makes him a touch cover for anyone and he is just as effective in the blocking game. One of the Ole Miss players in charge of controlling Pinkney will be Mohamed Sanago. Sanago is the Rebels’ leading tackler with 92 on the season, good for third overall in the SEC. He also has forced two fumbles. After a three-touchdown performance against Missouri, Shurmur now has 57 total career passing touchdowns. Jay Cutler currently holds the record with 59, so Shurmur has a great opportunity to either tie or break the record this Saturday. His passing game will be especially key in this game against an Ole Miss team not particularly known for their defense.